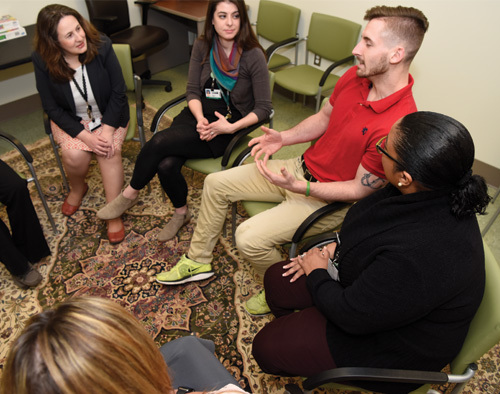 For teenage and young adult patients and their families experiencing early and first episode psychosis, it’s critical to connect with a treatment provider and receive the support needed as soon as you realize there is a problem. 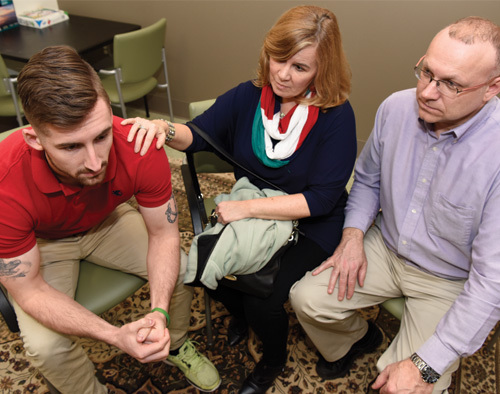 The NAVIGATE program at ECMC’s Regional Center of Excellence for Behavioral Health can help with services and support needed during these times, and bring hope and resiliency to patients and families experiencing these episodes. Early psychosis (also called first episode psychosis or FEP) can be frightening, confusing and distressing for the person experiencing it and difficult for family and friends to understand. In the United States, about 100,000 young people will experience psychosis each year, and three in 100 will have an episode in their lifetime. Connecting with the right resources for treatment during this kind of episode can be life-changing and radically alter your future for the better. The most important thing is not to delay getting help-even if you’re unsure of if you’re experiencing early warning signs of psychosis or typical teen/young adult behaviors. Treatment during a first episode of psychosis is a patient’s best hope for slowing, stopping, or reversing the effects. Case management services to assist with needs related to transportation, housing, disability, legal, insurance, or social services needs, or general continuity of care. If you, one of our patients, or someone you love is experiencing signs of early or first episode psychosis, contact our team for a referral. Call 716.898.3255 and press 0. To receive a NAVIGATE counter display and patient information brochures, please take a moment to fill out this request form.